Games are much more than just gameplay: graphics and sound make up a huge part of the appeal of gaming. 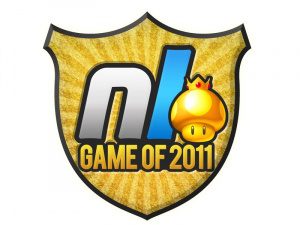 2011 has seen plenty of incredible moments for your eyes and ears, and we wanted to honour the games that made our senses very happy. Not just for its use of colour and flair did Mario's pocket platformer reach the top spot: its deployment of 3D depth, particularly in those stunning Escher-like puzzles, is one of the most inventive visual moments in years. Undeniably one of the best arguments for 3D in gaming yet. The orchestral soundtrack to Skyward Sword is one of the series' very best, with the incredible Ballad of the Goddess standing out as one of Nintendo's finest ever pieces. The fact it's Zelda's Lullaby played backwards is an indication of just how audaciously talented Nintendo's sound team is. As anyone who attended the Zelda symphony concert — or grabbed the limited edition CD — can attest, Skyward Sword's soundtrack is up there with Nintendo's best output. Remember when Uprising was supposed to be a launch title? Those were crazy days. Now upgraded with online multiplayer, we reckon Pit's next appearance will be one of the stand-out 3DS titles of 2012. We all get a little excited at the world of Nintendo sometimes; if we didn't, we wouldn't run this website. Here some of our writers choose those moments of the year that made them go all gooey inside. Chris — Jumping onto a flagpole for the first time in Super Mario 3D Land. Damo — Getting the Japanese 3DS before the UK release. Dazza — Sipping Zelda-themed cocktails at the Ocarina of Time 3D launch party. Jacob — Swinging the golden Wii Remote for the first time in Zelda: Skyward Sword. James — Attending the Zelda symphony concert in London. Jamie O — DS combination of my favourite genre with one of my favourite '80s action films and accomplished 2D developer. Published by legends that are SEGA, Aliens: Infestation was a treat. Jon — Geeking out over the 3DS intro screen where it "calibrates" the effect, making me extremely excited over the prospects of the handheld's future catalogue. Marcel — NES puzzles in Pullblox. Mark — Mario Kart 7 having the best selection of retro circuits ever. Patrick — Upgrading to the gold Wii Remote Plus Zelda bundle, because WHAT IF I DIDN'T? Pete — Seeing Animal Crossing 3DS running for the first time and knowing how many hours I'll put into it. Phil — Seeing a Wii Music track in Mario Kart 7. Ron — The weeks that I've spend crying because I didn't pre-order that gold Zelda Wii Remote bundle, and now it looks like I'll never have one. It's not all fun and laughter and smiles and sunshine in Nintendo land; sometimes the bitter pang of disappointment floods our palate. Here are some of the lowest moments of our gaming year. Chris — Wii U. The E3 presentation was just plain confusing. Dazza — Wii U unveiling at E3, underwhelming tech-demos. Not much of substance on show. Jacob — Lack of games announced for Wii U.
James — Little King's Story 2 going to PlayStation Vita only. JamieO — I wish that one real, fully fledged Wii U first-party launch game was showcased at E3. Despite HD Zelda demo, I would have liked one concrete example of what a game will look like on next gen Nintendo. Jon — Another year, another complete lack of new F-Zero. Marcel — The apparent death of Wii Virtual Console. Mark — Bodged 3DS launch — high price, few games, no eShop and so on. Pete — No more significant Virtual Console releases. Phil — Still no Pikmin 3 news. Ron — Kirby's Return to Dream Land getting little to no attention and practically going completely unnoticed. Those moments in 2011 when something utterly unexpected came and hit us in the face. There were many. Chris — Circle Pad Pro. That's all. Damo — 3DS price drop. Dazza — 3DS Ambassador games. Des — 3DS price drop and Ambassador program, didn't see that coming at all. Jacob — The 3DS price drop and ambassador program. James — Wii U rumours actually being true. JamieO — Transition of 3DS from uninspiring launch, to truly impressing. Virtual Console given kiss of life, through Mega Drive Strider heading to European VC. Jon — The audacity of the ending to Conduit 2. Marcel — 3DS Ambassador games. Mark — 3DS Ambassador games. Patrick — Using my 3DS exclusively to play all the DSiWare games I've missed. Pete — Rayman: Origins' translation to Wii being a superb, totally unspoiled masterpiece. Phil — The 3DS library exploding into so many brilliant titles in so little time. Ron — 3DS ambassador games. OR Rayman Origins actually being a great game. It's fair to say we were all pretty surprised by the 3DS Ambassador games. 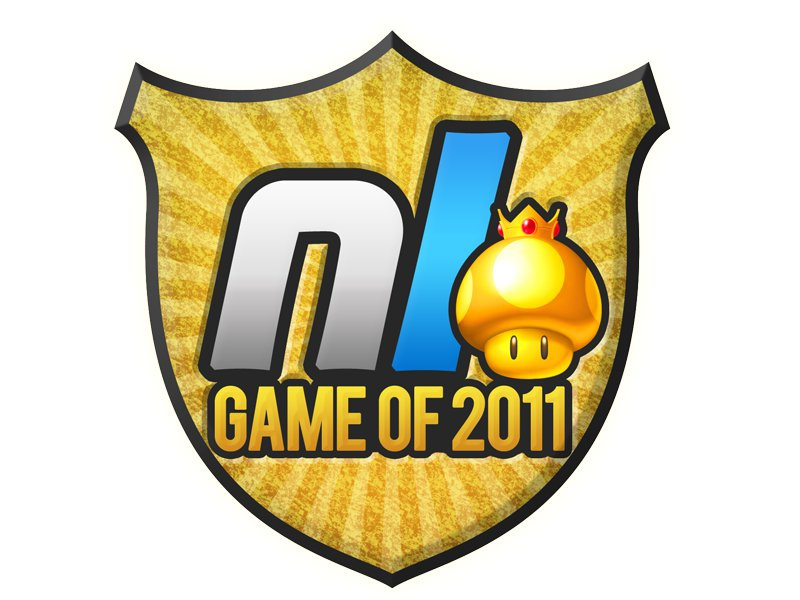 The next page contains the much anticipated Nintendo Life Game of the Year for 2011. Dare you click?